It had been a couple of months of nose to the grindstone life for The Bride and me until last week when we simply carved a day for fun. Little did we know we’d end up completely thrilled to be nose to the grindstone. 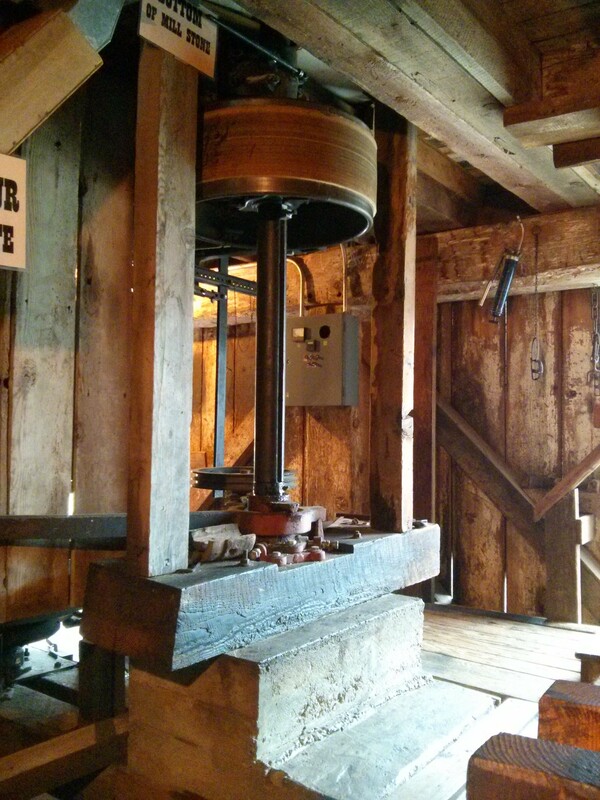 Or millstone more accurately, I think anyway. I’m still not sure how it all works. 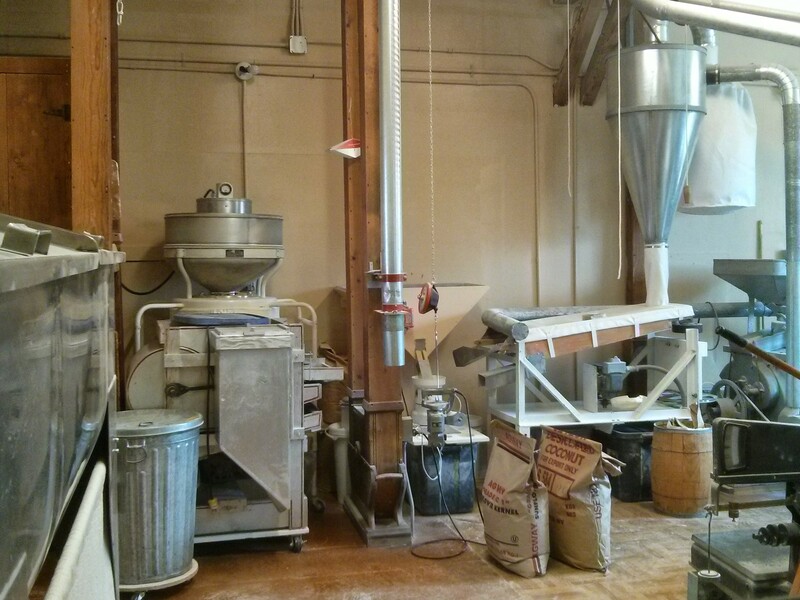 I just know that my quest to sift through all the Frankenwheat scare, carb bashing, flour flogging and all the hype that takes the fun out of dough got a hell of a lot of easier when we visited the Butte Creek Mill in Eagle Point, Oregon. 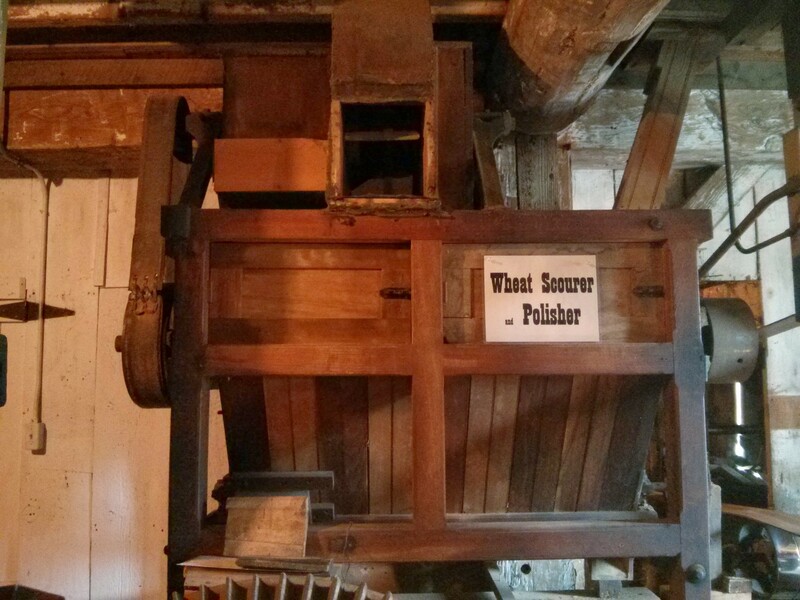 My latest WeBromance is really a fixation and fascination with the mill and shop and products itself. But since everyone can’t get to the area to visit the mill, I can attest they will LOVE the products they can buy online, which earns this WeBromance status. 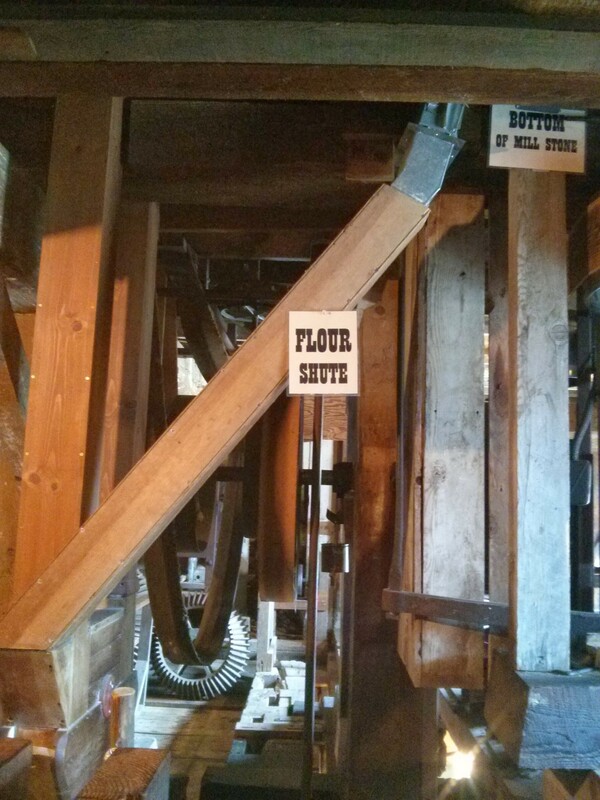 This “is the last water-powered grist mill, still commercially operating, this side of the Mississippi” the web site states. 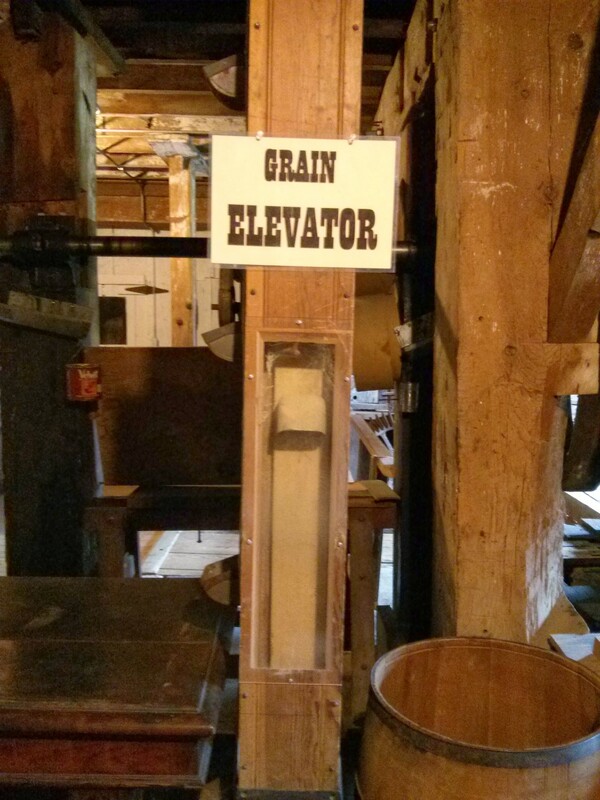 They still mill the wheat and make their various products, powered by the creek just as its been done for more than 125 years. I chatted up the owners to find out more. They don’t use GMO seed, instead getting their seed from a natural ranch in Montana. 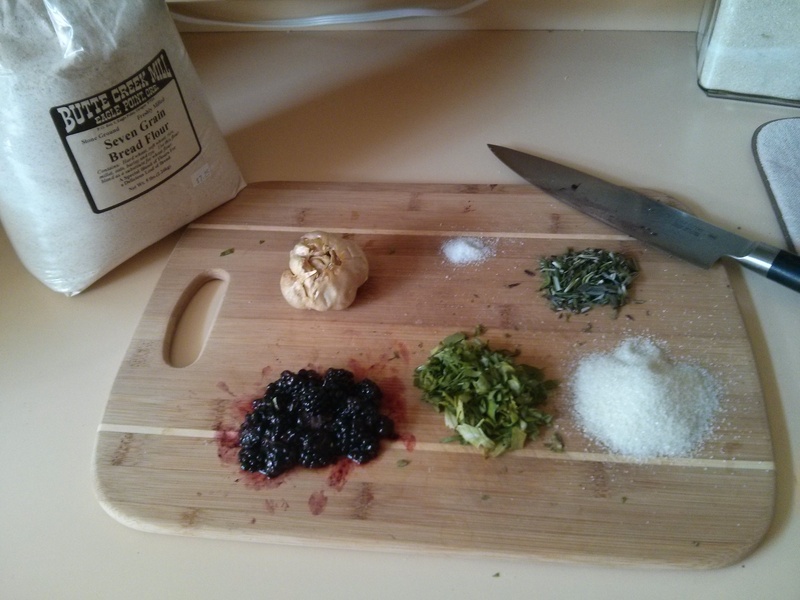 I can enjoy the Zen of making dough with healthy products in a true Hoof-to-head synergy. 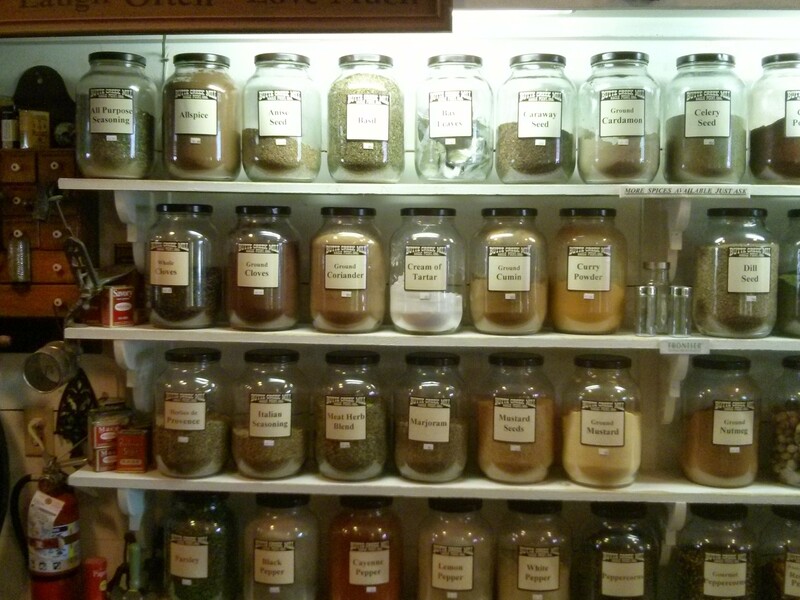 The country store was… well, everything I hoped it would be. 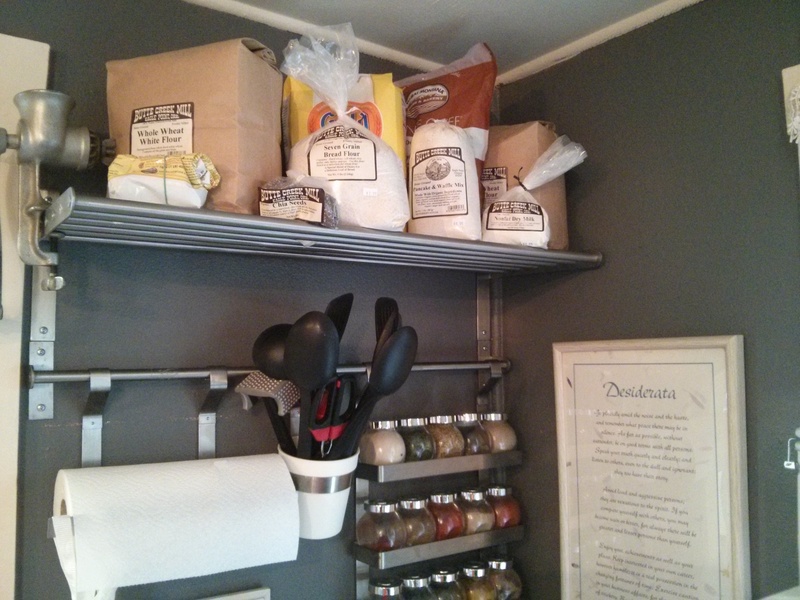 I kept snagging bags of different flours, yeast, spices and supplies. As soon as I got them home, I decided I simply had to display them on a shelf. Well, if you see a post with that title soon, you’ll know I’m pleased. 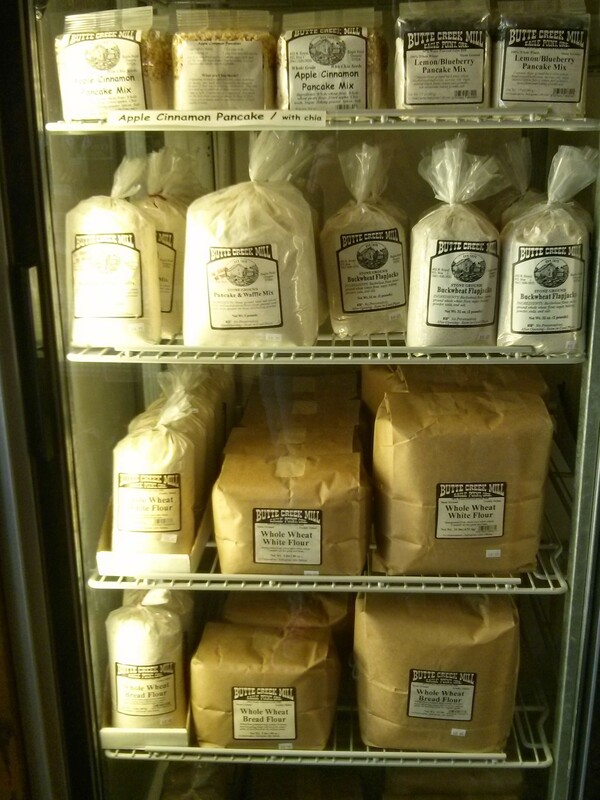 If not… don’t blame the flour, blame the baker. 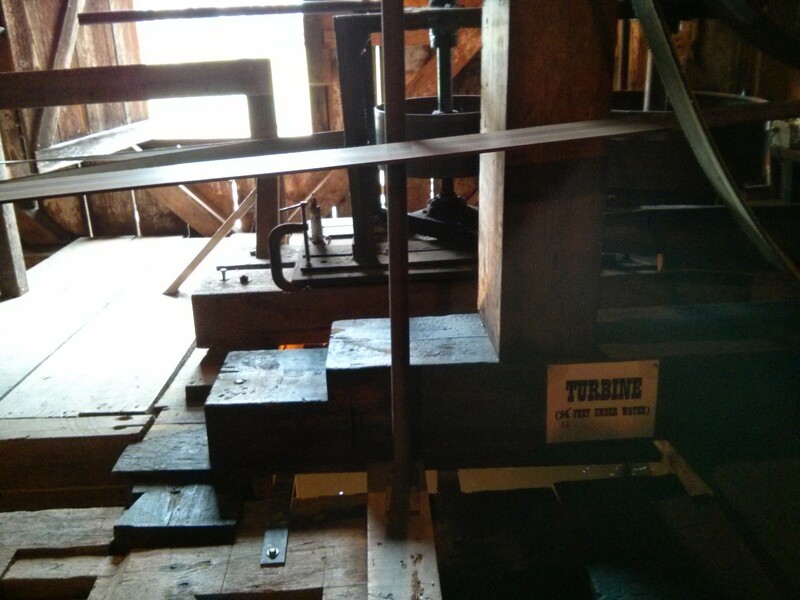 The entire mill just fascinated us. We went into the basement to see the guts of the operation. 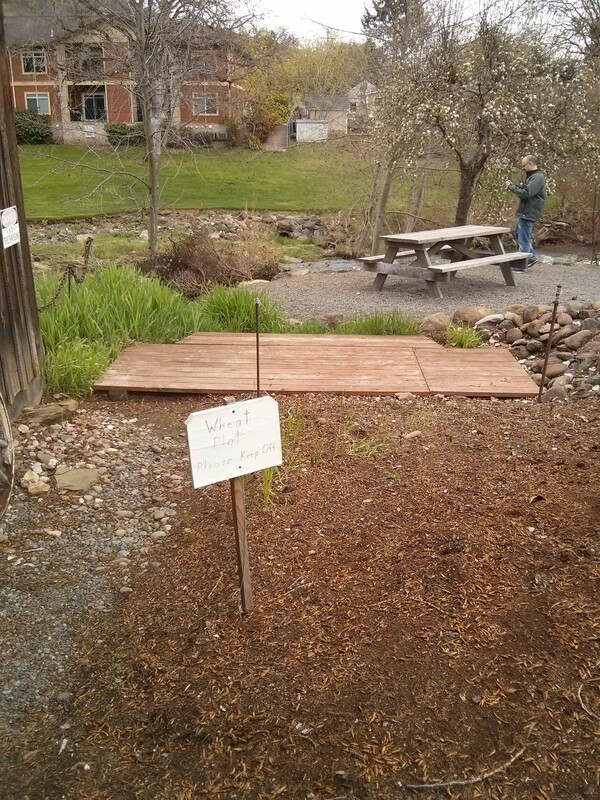 The main beam is a tree carved into a beam by axes, oh, five generations ago? The old mill was the retirement project of a married couple who moved south from Portland when they bought it a decade ago and pumped it back to life. The Bride — knowing something about a husband’s crazy business ideas — said the wife of the team looked tired. She wanted to offer to take her out for a massage while I volunteered to watch the store, which frankly, she should have. I would have loved that! All I can say is I’m glad her husband had a thing for antiques and the vision to salvage this priceless mill for all of us. You can get their products online. 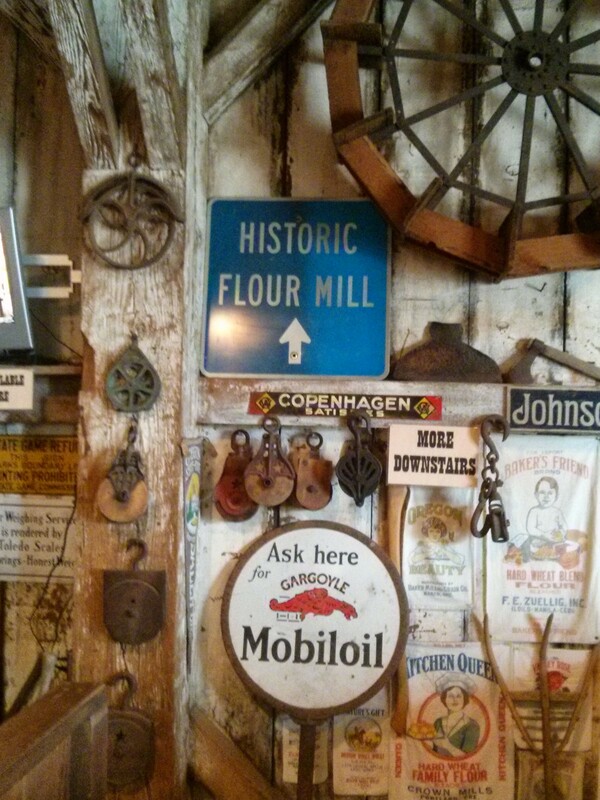 Since the vast majority of our readers won’t be able to tour the mill themselves, we pass it along virtually. Enjoy these photos and then click over to the store to stock up your kitchen. 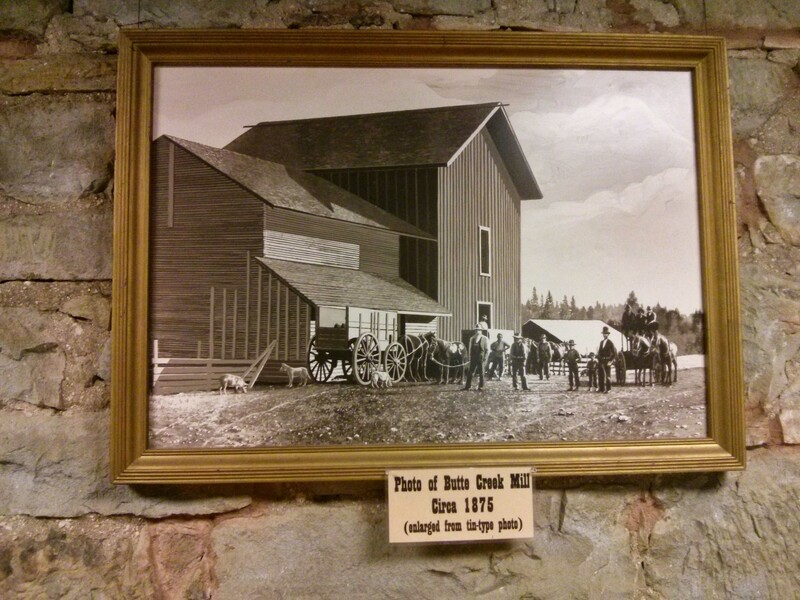 You’ll know why the Butte Creek Mill is our latest WeBromance.